BCAA’s – these four letters are mentioned a lot in the world of fitness, but what the hell are they, what do they do, are they good for me, and how much should I take? If you’re serious about building muscle and preventing muscle wastage, BCAAs should be an important part of your life! This article will cover all the bases when it comes to BCAAs, giving you everything you need to know about this mystery ‘must-have’ supplement. We’ll give you the facts, dispel the myths, and answer all of your questions. BCAA stands for “Branched-Chain Amino Acids.” Amino acids are the building blocks of the human body — if you want to build muscle, you’ll need amino acids to do so. Your body can make some amino acids itself, but there are nine amino acids that your body cannot make itself. So where do you get these from? You get these amino acids from the foods you eat. They’re known as ‘essential amino acids’ as they are an essential part of a healthy diet. Foods known as complete proteins (or whole proteins) contain all of these essential amino acids. So if we can get essential amino acids from food, why do we need these branched-chain amino acids? These three amino acids play an important role in the synthesis of new muscle, and even more importantly they can prevent your body breaking down muscle to use as energy. Leucine is the most anabolic (muscle-building) of the amino acids. It activates a chemical that triggers muscle-protein synthesis (aka muscle building), and you need to spike your leucine levels ever 4-4½ hours to maximise your muscle-building potential. Conserve the stores of glutamine, the amino acid that is vital for muscle growth. The key benefit is the ability of BCAAs to prevent the breakdown of muscle tissue. This is especially useful when you don’t have time to eat a protein-rich meal, or don’t have enough calories in your diet for another meal. There are only a couple of key times when we’d recommend taking BCAAs. Before training fasted such as when training first thing in the morning. When not able to eat for long periods such as when intermittent fasting. This is especially important if you haven’t had a chance to eat a protein-rich meal in 4 hours and won’t be able to eat one for a little while. You should know that the whey protein in your regular protein shake already contains plenty of BCAAs, so don’t waste your money taking BCAAs with your protein shake! You only need to take enough BCAAs to maximise your Leucine levels – taking more is not going to have any more benefits! It is generally thought that the average person needs 3g of Leucine to stimulate maximum muscle protein synthesis. As BCAAs contain Leucine in a 2:1:1 ratio, then you’ll need about 6g of BCAA to achieve this. If you’re BCAAs are flavoured, this will reduce the amino acid content as the flavourings will ‘pad out’ the supplement. 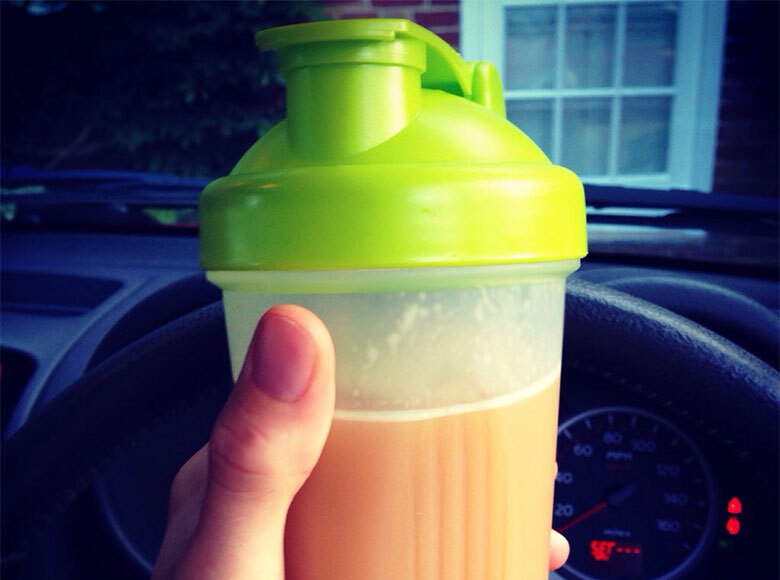 Therefore you will probably need closer to 10g of flavoured BCAA for optimum Leucine levels. What type of BCAA is best? BCAAs come in two main forms: powder and tablets. The powder is better value (you simply mix with water and drink immediately), but the tablets are more convenient for taking on the go – which form you go for comes down to personal preference. Powdered BCAAs can be flavoured or unflavoured. The unflavoured variety have a very strong taste we can only describe as being like ‘blended plastic bags’ – if you’ve got sensitive tastebuds then we recommend going for a flavoured BCAA!